I have had quite a few IEMs in the last two years that I have spoken about fondly. IEM’s that have great potential only to be held back by a stock cable that serves a basic purpose rather than delivers exceptional performance. The option to change a cable you are not happy with, for whatever reason, to me, is a logical extension in the current market and a reasoned personal choice rather than mandatory upgrade. How compelling that upgrade becomes though is really down to how bad or how unhappy you are with your current setup and how appealing that potential upgrade is to you. Step forward Effect Audio from Singapore who have been in the aftermarket cable business since 2009. A lot of people swear by them and I had the good fortune to meet the effervescent Eric Chong and his team at CanJam Singapore 2017 and try out a few. I was impressed enough to agree to review their new Lionheart cable which they just released for $499. I tend to be a stickler for price points in cables, if it can’t get the job done for less than $500 over a stock cable on a flagship IEM then it isn’t worthwhile so the Lionheart seems to fit the bill. 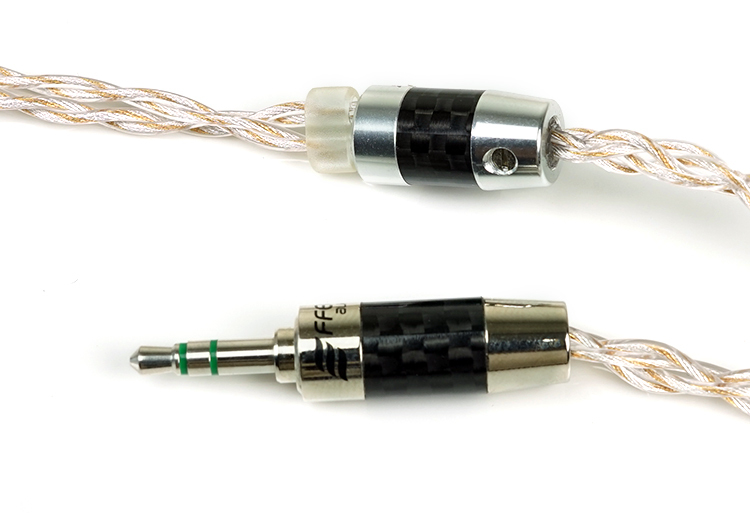 The Lionheart is part of Effect Audio’s Heritage Series of IEM cables which are distinct for being the company’s bleeding edge lineup. In short, they take a few risks, try something new and bring out something they think is genuinely unique as well as groundbreaking in the cable industry. Kind of their ‘blue sky’ thinking line-up. For cables that are designed with tried and tested methodologies, they have the Premium series which starts at around $149 all the way to an eye-watering $1599. The Lionheart is the second cable of the Heritage series with the gold-plated silver Litz designed Leonidas being the top of the line cable at $799. The Lionheart is distinct from the Leonidas from its use of copper as it’s primary material rather than Litz. This is going to pitch to those who are after body and richness in their sound with a certain sense of natural sounding musicality. The copper used is a UPOCC 26awg strand variant and I believe this one was picked from 8 different samples tested from a completely new batch of copper variants not used before in the audio industry. So the specific material may well be unique though the qualities of copper in audio are always seen to be more rich and pleasing than clinical and precise. 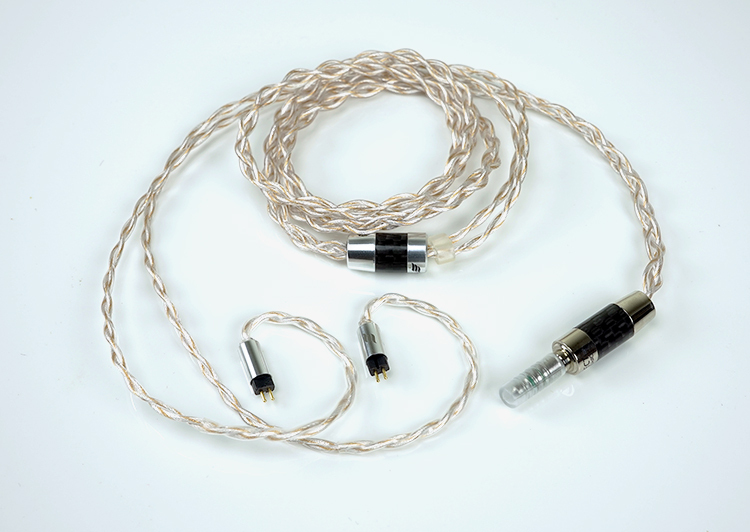 To add some specific tonal qualities to the final product Effect Audio have taken some existing in-house tweaks and added them to the Lionheart copper materials, namely their EA silver plated and EAGold plated copper variants taken from the Leonidas and Mars edition cables. These are not alloys, by the way, they are not mixed together, but rather layered side by side and all wrapped in their in-house EA Ultra Flexi coating. 26Awg is a fairly light strand composition in terms of threading size with an approx 0.405mm diameter and 62.7 turns of wire before we begin to speak about the insulating depth of the SPC and GPC layering on top of that. 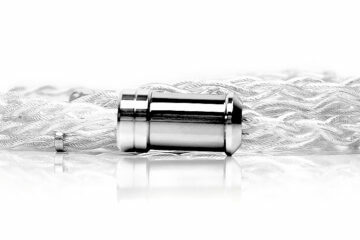 To give you another point of comparison, Whiplash Audio’s Twag v4 is a 22.5AWG UPOCC custom silver Litz design and measures a little fatter and stiffer at approximately 0.6mm in thickness and around 16 turns of wire per cm. Resistance will be lower on the Twag versus the thinner 26awg build on the Lionheart but at 1.2m it should not be a huge factor in the final sound production. With a side by side comparison the slightly thinner strand of the Lionheart, even with the SPC/GPC layering, does play ball a little better than the thicker AWG cable finish of the Whiplash Audio Twag v4 and hugely superior to really stiff SXC24 from ALO. By that I mean it is a little more pliant, looser and does not curl up as much when not in use. This is the kind of easy going cable play you want, especially if you are out and about. The cable itself is a standard 1.2m length and terminated with a 0.78mm 2-pin socket design encased in chrome finished aluminum tubes sporting Effect Audio’s logo on each and a carbon weave and chrome finished ‘PSquared’ 3.5mm stereo jack on the other end. You can elect though to terminate with other connection systems during purchasing with no less than 7 different variety of plugs including rhodium 3.5mm and right angle 3.5mm, rhodium and gold plated 2.5mm, 4.5mm, and 3.5mm balanced as well as old school RSA type balanced. The connector varieties are equally abundant with no less than 12 different types from 2 pin, MMCX, FitEar, UE, Sennheiser to name but a few. The PSquared 3.5mm termination was developed in cooperation with Japanese specialty cable manufacturers, Oyaide Electric. Co., Ltd. These guys have been operating over 60 years so they are no flash in the pan indie operators and their plugs are well respected. If you have an EA cable with a PSquared jack you will know it by its green pole lines rather than the standard black on 3.5mm. However, balanced PSquared plugs will have black rings. This is considered an upgrade on their rhodium plated plugs from their use of Palladium and Platinum with the contention that it will sound better than the standard plug. (We will actually test that theory out in our sound impressions as we received one with a PSquared and one without to compare). The strain relief on each termination is subtle. It starts more on the inside than show on the outside of the 2-pin metal tubes with a translucent rubber overlay of about 2mm max. Effect Audio does not use strain relief systems like Whiplash which are more prominent, black and to be honest not quite as aesthetically pleasing. ALO Audio use a similar strain relief on their SXC range but it is a bit more prominent at around 0.5mm and a slightly off white color tone which doesn’t quite match the color scheme of their cable as well. The memory wire on the Lionheart is excellent, one of the best I have had to date on an aftermarket cable. It is so subtle and pliant you would hardly notice it is there yet it holds its shape perfectly. Just to be clear though the memory wire on the Lionheart is not a user customizable material. It is pre-formed meaning it will bend, flex, shape but once you take it off it will snap back into its original shape. Quite a lot of stiffer materials on other cables will hold their shape indefinitely, this one does not. 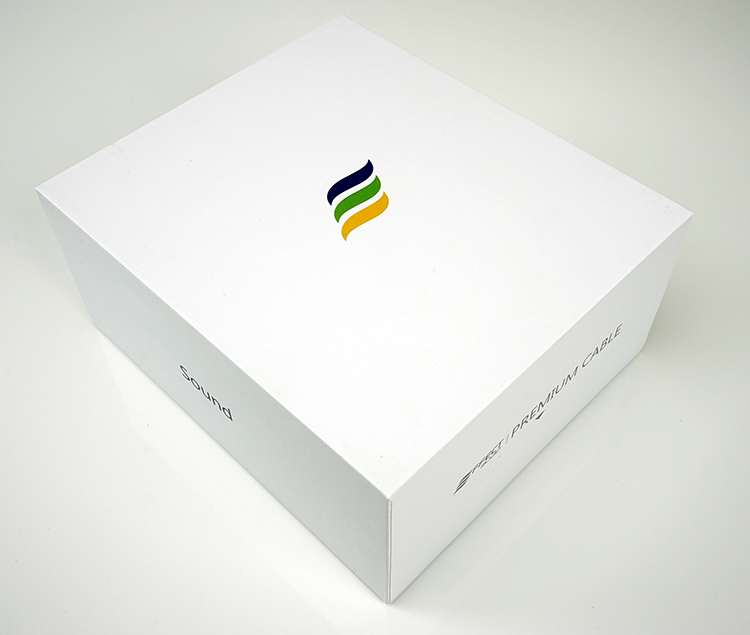 A truly well-presented package to be honest though perhaps a bit on the big side for what it is. Certainly, it is the nicest IEM cable package I have received to date for review purposes with the vast majority arriving in anti-static bags or small boxes and cloth pouches. 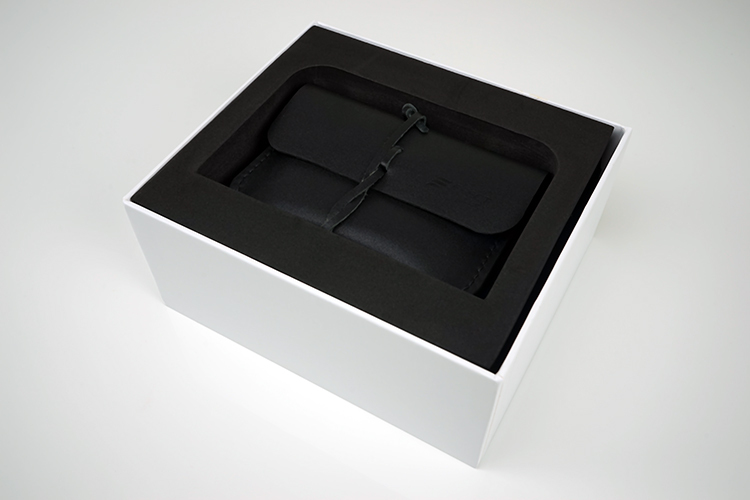 Inside, the Cable is neatly wrapped in a rather fetching soft leather case with a leather tie strap. There is a subtle emboss of the Effect Audio logo on the far right side and inside the case flap, you have the Lionheart moniker printed in gold just below the opening for the cable. In my particular unit, the additional “demo” subtitle underneath. Full retail versions will not have the demo moniker. The cable PSquare plug has a small plastic cover which you can slide on or off to protect it from potential damage as well as the splitter barrel and connectors being wrapped in protective plastic wraps. 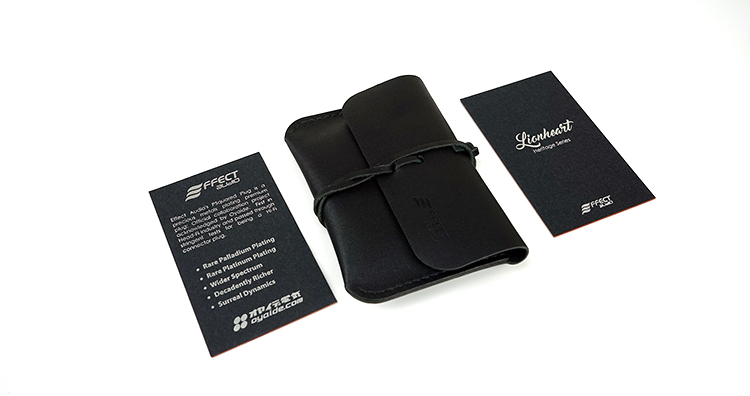 Aside from that, you get a couple of nice black business style cards introducing the series and the key selling points. The Lionheart has a decidedly rich and full sounding tonal quality that I tend to associate with good quality copper cables. For those using stock Plastics One cables, which tend to be lower quality copper constructs, you might actually find the tonal bias to be similar in terms of low-end warmth and a smooth delivery of the mids. However, unlike the Plastics One stock cables, the presentation is a lot tighter with superior dynamics and a more forward sounding presentation. The timbre you get with the Lionheart is very liquid sounding, very smooth and decidedly biased in favor of an even harmonic emphasis. Upper harmonics or overtones are very subdued to the point of non-existent means pretty much any instrumental passage will lack any nasty sharpness but it doesn’t get to the point where notes sound overly rounded or one dimensional in their delivery. This rings very true for percussion, (xylophone, drums, bells etc) and piano timbre, even with very neutral and transparent IEMs. I was not surprised with the more relaxed treble performance of the Lionheart, this is a cable with as stronger bass and mid-range performance as well as offering a very natural sounding vocal presence. Yet at the same time, this is not a fuzzy, bloated or veiled experience, it is in fact pretty tight with good layering and excellent depth. You won’t get as much air or headroom as you might with cables such as the SXC24 and its very energetic presentation but I tend to find the SXC24 not quite as easy on the ear as the Lionheart. This type of tonal quality works incredibly well on neutral IEMs but less so with IEMs that are already attenuated at the top end such as the AAW W300AR. With the W300AR you need something to thin it out a touch and lift the treble performance and headroom that is lacking and the Lionheart tends to take it in the opposite direction. Excellent IEMs for tonal matches with the Lionheart included the Noble Katana and 64 Audio A18 which were far more neutral and detailed sounding with excellent headroom already at their disposal. 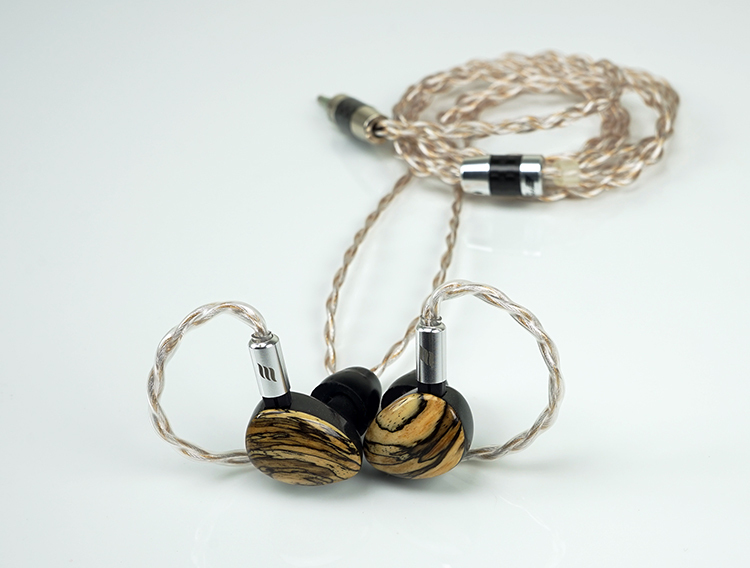 Both IEMs exhibited greater low-end thickness and generally a fuller richer sound up to the mids. Both use stock copper cables which are just ok but tend to lack a bit of dynamics compared to the Lionheart’s more engaging delivery. 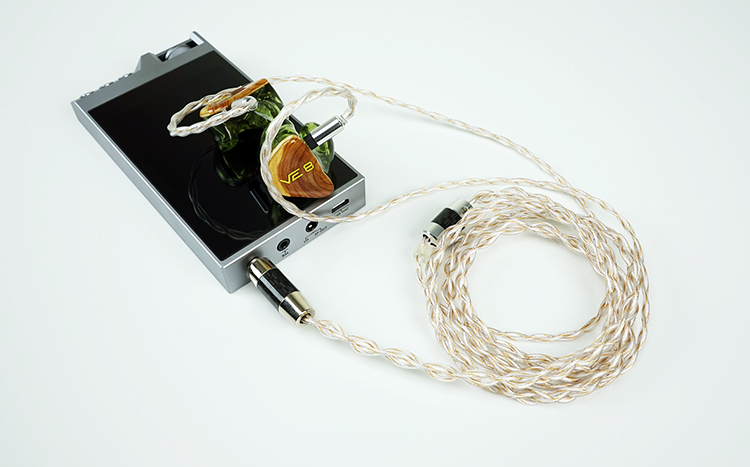 Musical customs such as the VE8 actually produced excellent results compared to the stock cable. I was concerned ahead of listening that copper pairing might overly bloat the already dynamic low-end but compared to the stock cable it did the opposite. Yes, it retained and even added bass body and improved the overall impact, but at the same time it tightened up the presentation with enhanced dynamics as well as exhibiting much better clarity and imaging in the VE8’s mid-range performance. Overall a far snappier and engaging pairing. Luckily, Effect Audio sent a non-PSquared terminated version of Lionheart because without it I wouldn’t have a clue of the benefits of the pSquared plugs capabilities. Comparing side by side using the Vision Ears VE8 both cables still have a similar tonal bias but the change-up with the PSquared terminated version produces a more dynamic presentation. 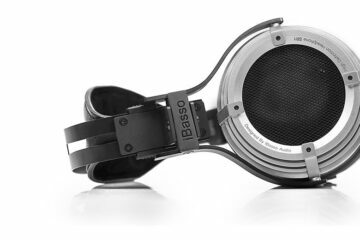 The low-end impact and body of the sub-bass is more eye catching, vocals are more lifelike and imaging a little more 3-D. The PSquared is a vivid presentation and works particularly well with modern RnB with sparse arrangements and plenty of low end reverb as well as soulful or breathy vocals. This is pretty much “your first upgrade” type of aftermarket cable and is priced as such. Constructed of with SPC tinsel wire in FEP jackets it is very thin and lightweight but it is not as quite as the Lionheart in terms of microphonics and is a bit more memory retentive. Tonally, the Tinsel is a clean and clear sounding cable with a slightly forward vocal presence and a reasonable neutral treble performance. It lacks the body and impact though of the Lionheart and the generally liquid sound the EA cable can create. Of particular note is the low-end on the Tinsel which is a little flatter sounding and not as weighty or dynamic sounding as the Lionheart. The upper mids on the Lionheart also have a lot more energy and presence both in percussive passages and vocal presence. The SXC24 is a high purity SPC cable, again wrapped in FEP jackets and retailing a bit higher than the budget Tinsel cable in ALO’s audio’s cable range. I tend to use this one a lot for contrasting with stock copper cables because of the big difference in sound. Physically though the Lionheart is a very pliant and stable construct compared to the wilder and memory retentive SXC24. It also displays a higher level of microphones than the Lionheart. Not getting around it the Lionheart has super build quality. The SXC24 is a dynamic sounding cable but it is not as impactful or as forward sounding as the weightier Lionheart. The body on the low-end of the SXC24 is pretty good, definitely similar levels of extension. The Lionheart though is weightier and fuller sounding which can make a significant difference with IEMs such as the VE8. The SXC24 has a slightly airier top end with a bit more sparkle over the Lionheart whereas the Lionheart has a more forward mid-range and a fuller, more organic sounding vocal presence. I also find the mids on the Lionheart more refined and engaging than the SXC24 which is a touch more neutral sounding and a little bit flatter by comparison. This is a beast of a cable for the asking price. It is also a bit heavier and stiffer than the Lionheart with its larger 22.5awg custom silver litz design with a custom nylon core and thicker jacketing. The finish is gold plated with Whiplash’s traditional wood finished y-split barrels. It is a striking cable and despite its size its actually quite light and very microphonic free. I usually use this the Twag v4 to act as a refined contrast to the dynamic energy of the SXC24 as it tends to come off as very natural sounding to my ears. Compared to the Lionheart it is every bit as detailed and refined sounding with excellent imaging, however, the tonal bias is a little more neutral sounding with less weight and low-end body. It is not as rich or forward sounding as the Lionheart which really is much more colored from the low to mids. It does, however, have a bit more air and sparkle in its treble performance over the Lionheart which tends to focus a lot more on lower treble percussive energy and a little more laid back beyond. If you want something a bit more neutral and with more air or treble sparkle then the Twag v4 is a good choice. If you are after something with more depth and low-end body then the Lionheart gets the nod. If you want copper the Lionheart has it and then some. This is not like the generic copper you get with some stock CIEM cables though. It has excellent body, it has a richness to its timbre combined with good clarity and dynamics. It is also beautifully made, wonderfully pliant and very light. The PSquared 3.5mm jack only adds to that generally positive impression of a well-crafted cable. It will not be for everyone though I am pretty sure the Heritage series is all about testing new ground and I doubt Effect Audio see it any other way. 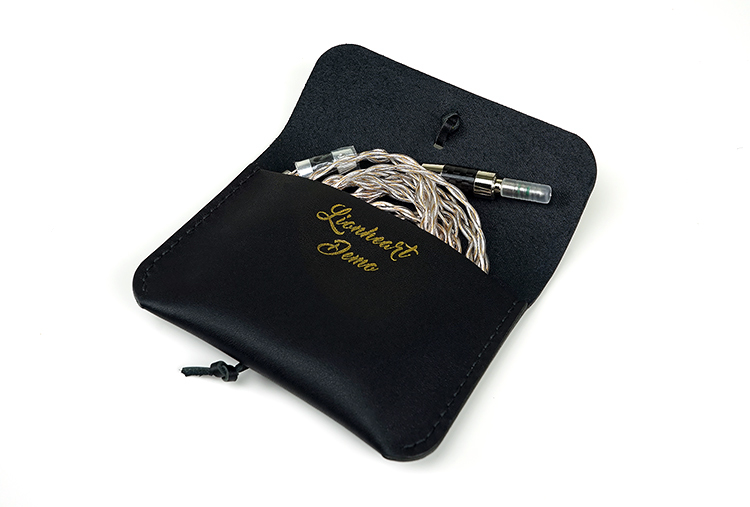 Those who prefer a more balanced, clean sound with lots of air might be better off checking out Effect Audios other offerings such as the flagship Heritage Leonidas or the similarly priced Premium line Thor Silver II. However, if you are after richness, low-end body and a generally a full musical sound with a wonderfully smooth vocal delivery then the Lionheart is a very good option. What impact would the Lionheart cable have attached to the Shure SE846? What is your opinion about the cable that Shure sends with the SE846? I am not sure, to be honest as I don’t have one to test anymore. My initial reaction is that the low end might be too dense as that is what Lionheart will give you but I maybe wrong as there is some nice contrasting sparkle in the Lionheart’s treble and upper mids which might be nice on the SE846 also. If you want my 100% sure advice to grab the Thor II silver litz instead. It is $100 less and works on every single IEM and works well. Does wonders on the dynamics. is the improvement from the PSquared termination worth considering re-terminating other cables with PSquared connectors? Good question, I will know when I get a few more of these cables in with the PSquared connection. I have to assume it does but I can’t say for sure.